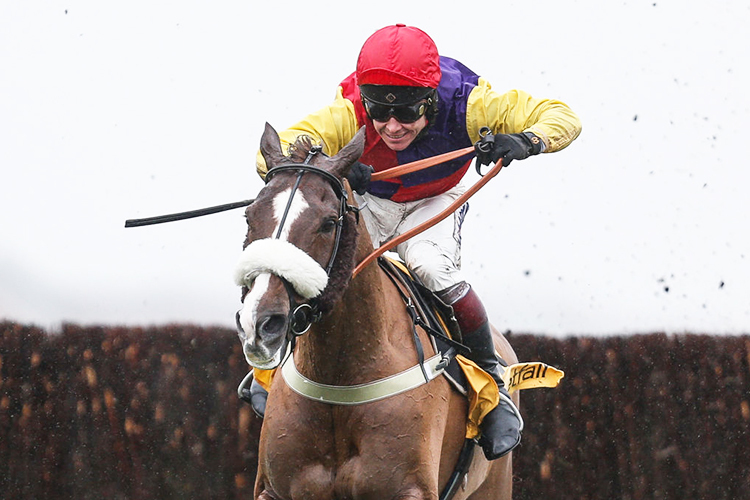 Nic Doggett previews the Betfair Denman Chase at Newbury on Saturday and fancies Clan des Obeaux to uphold recent King George VI Chase form with Native River. While Saturday’s renewal of the Denman Chase looks like boiling down to a two-horse-race, one that form experts might cast aspersions upon in the following month of Cheltenham Festival preview evenings, it’s worth remembering that four horses have won both Saturday’s Grade 2 and the Cheltenham Gold Cup in the same year: Kauto Star (2007), Denman (2008), Coneygree (2015) and Native River (2018). Two of those horses feature among 10 entries for Saturday’s race, namely Coneygree and Native River. The former is a bold-jumping front-runner who won all four starts as a novice in 2014/15, but has been beset with problems and has since been lightly-raced as a result. He shaped with plenty of promise when six and a quarter lengths third to Rock The Kasbah in a Grade 3 handicap at Cheltenham on his belated return in November, but was held when unseating his rider two out in the King George VI Chase won by Clan des Obeaux at Kempton last time. Native River has a much more obvious chance. He has won the last two renewals of this race and enjoyed his finest hour in the Gold Cup at Cheltenham (by four and a half lengths from Might Bite, finding plenty to battle back late on having been narrowly headed two out) last season. He hasn’t quite been at his best this term, placed in both the Betfair Chase at Haydock won by Bristol de Mai and the King George, but those efforts are quite readily excused, both races run on good ground around tight tracks and not placing enough emphasis on stamina. The return to softer conditions here is very much in his favour and his record at this course is a formidable one (has won all four starts over fences, including three over C&D). Clan des Obeaux won the Berkshire Novices' Chase here in November 2016 and produced a series of very smart efforts last season, including finishing third to Might Bite in the Betway Bowl Chase at Aintree last April. He proved better than ever when winning the 10-runner King George VI Chase at Kempton (by one and a half lengths from Thistlecrack, travelling well and produced to lead at the last) last time. That was just his third start at around 3m, clearly well suited by such a test of stamina and, still only a seven-year-old, he could have even more to offer. All ground seems to come alike and he looks a big player ahead of a crack at the Cheltenham Gold Cup next month. Anibale Fly won the Paddy Power Chase (handicap, from BHA mark of 148) at Leopardstown (by seven lengths from Ucello Conti) in 2017/18 and produced a good effort when eight and a half lengths third to Native River in the Cheltenham Gold Cup later that season. He wasn’t quite in the same form but still ran with credit when 11 and a quarter lengths fourth to Tiger Roll in the Grand National at Aintree the following month. He was easy to back and considerately handled over an inadequate trip when a well-held sixth to Castlegrace Paddy in the 2m Hilly Way Chase at Cork last time, but is likely to strip fitter for that and is no back number if running here (non-runner at Leopardstown last Sunday, reportedly set to run in the Red Mills Chase at Gowran a week on Saturday). Noble Endeavor won the Paddy Power Chase (handicap, from official mark of 143) at Leopardstown in 2016/17, and produced another good effort when three and a half lengths third to Un Temps Pour Tout in the Ultima Handicap Chase at Cheltenham on his next start that season. He probably needed the run after 20 months off when a well-beaten ninth to Walk In The Mill in the Becher Chase at Aintree last time, but it’s hard to see him playing a major role in this company. This season looked like being a big one for Thomas Patrick, who was a progressive chaser in 2017/18, his wins including a 3¼m handicap here and a Grade 3 handicap at Aintree (by four lengths from On Tour). Of the rest, Ballyhill won a handicap from a BHA mark of 135 at Aintree (by three and a quarter lengths from Caltex) in December, and again ran well when nine lengths third to Siruh du Lac in a Grade 3 event at Cheltenham last time, but he still has stamina to prove over this trip. Beware The Bear won the Rehearsal Chase (handicap) at Newcastle on his reappearance last season, but failed to back that up in three starts after, for all he ran well when fourth in the Ultima Handicap at the Cheltenham Festival. He got right back to his best in first-time blinkers when winning a nine-runner event back there last month, coming out on top by five lengths from Shanroe Santos, but that was the weakest race he had contested in a while, and he will need a big career-best effort to come out on top in this much stronger field. 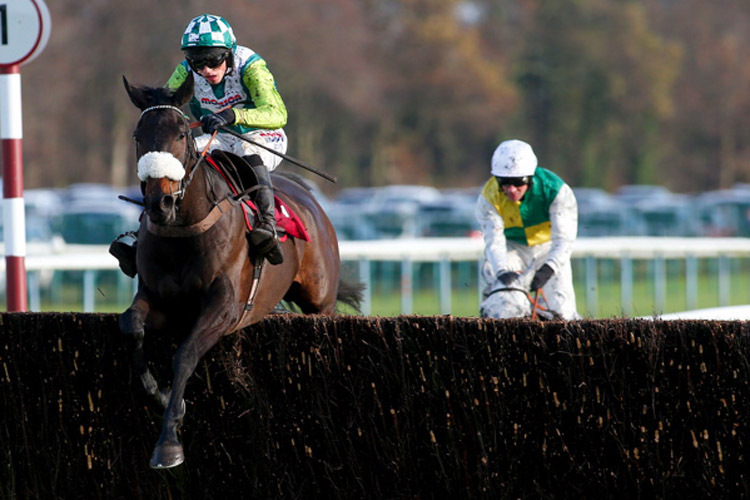 The Last Samuri finished second to Rule The World in the 2016 Grand National and while he finished second to Royal Vacation in that 3½m minor event at Taunton last time, that form is a long way short of what’s needed here, and all roads will likely lead back to the Grand National in April anyway. Gold Present is a smart handicapper who won a 0-145 handicap here and the Silver Cup at Ascot (by three lengths from Frodon) in 2017/18, but all his best form has come on a sound surface and he’s hard to fancy in this company. Clan des Obeaux firmly announced himself at the top level when running out an impressive winner at Kempton on Boxing Day, ridden with plenty of confidence and proving too tough a nut to crack for a back on-song Thistlecrack. Those two pulled a fair way clear of the eventual third Native River, who seemingly found the emphasis on speed all too much. Given Native River's record here, it's easy to see why the bookmakers have installed him as an odds-on favourite, but there isn't much between him and Clan des Obeaux on Timeform ratings, and it could be worth siding with the younger horse. He's a two-time winner on heavy ground, so will have no issues with the softer ground here, and remains open to improvement over this trip. He should also benefit should Coneygree, Thomas Patrick and Native River take each other on for the lead.